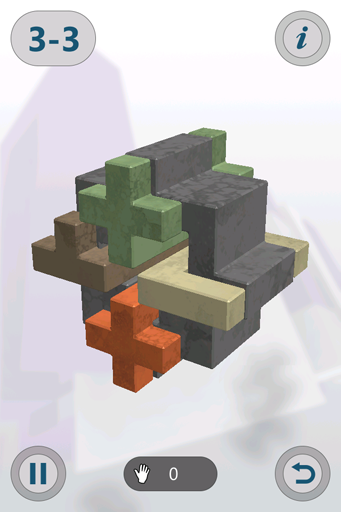 Interlocked - Brain teaser in block pieces! Now available on Kindle and iOS! 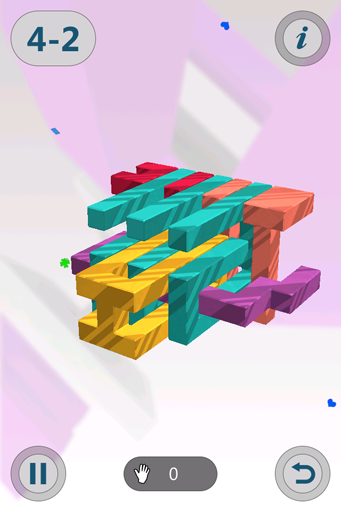 Interlocked is a calm, beautiful brain teaser. 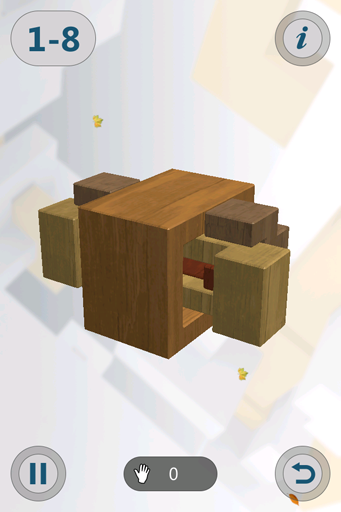 Remember those clever wooden puzzles, impossible to take apart? 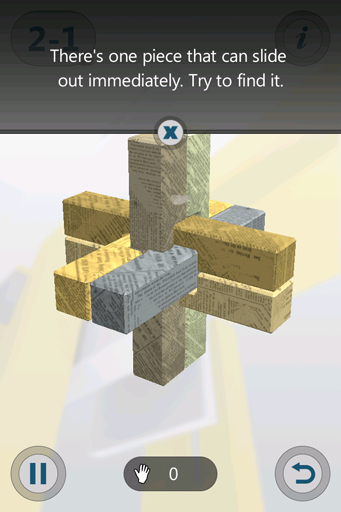 Interlocked brings these, with slick new graphics and controls, to your mobile device! 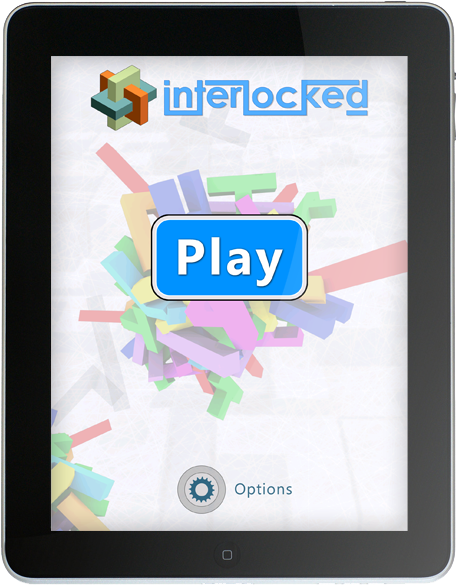 Interlocked for mobile features 36 different puzzles of varying difficulty levels and elegant themes. 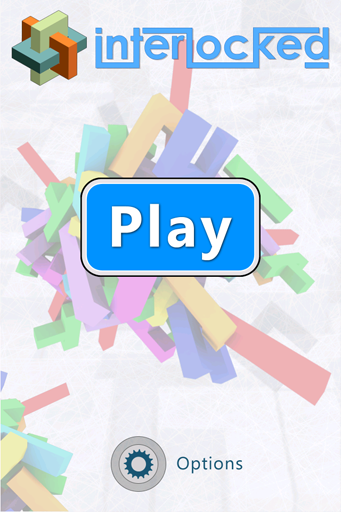 Test yourself with a truly stimulating mind game - have fun and hone your mental abilities at the same time! "It's such a simple concept but it's executed so elegantly with a crisp design polished to a high gloss that it's easy to recommend to virtually anyone." 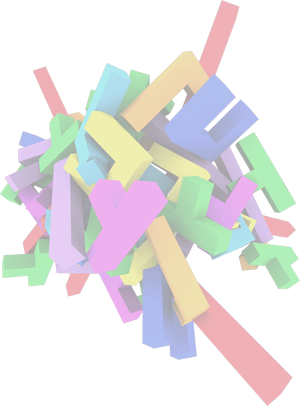 "If you’re a true iOS puzzle head, you cannot let this one slip past you."